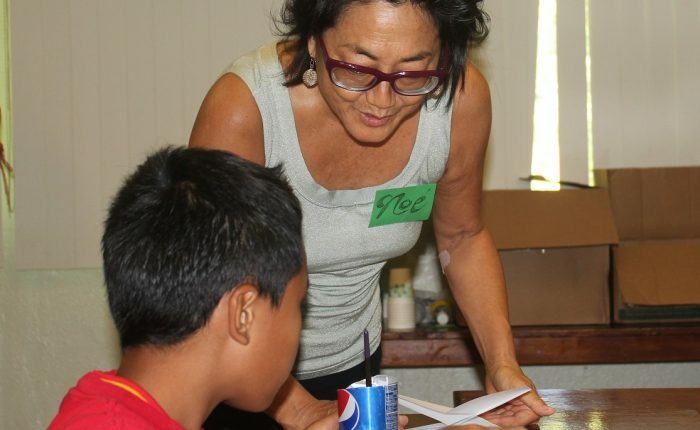 Japanese American artist and journalist from Hawai’i, Noe Tanigawa, travelled to the island nation of Palau to participate in an Art in Embassies’ cultural exchange from September 5-12, 2015. Tanigawa’s art is known for the way it explores the patterns, colors, shapes, and sounds of the natural environment. 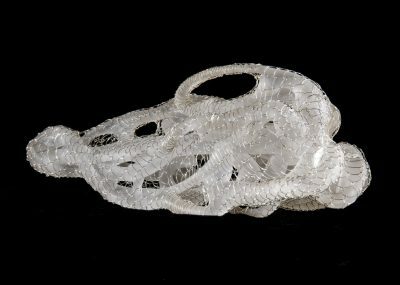 Tanigawa’s artistic practice is also influenced by her work as a radio journalist. Her drawings and colorful encaustic paintings on fabric reflect a keen interest in the many layers of stories, songs, oral histories and cultural nuances that contribute to our “sense of place”. 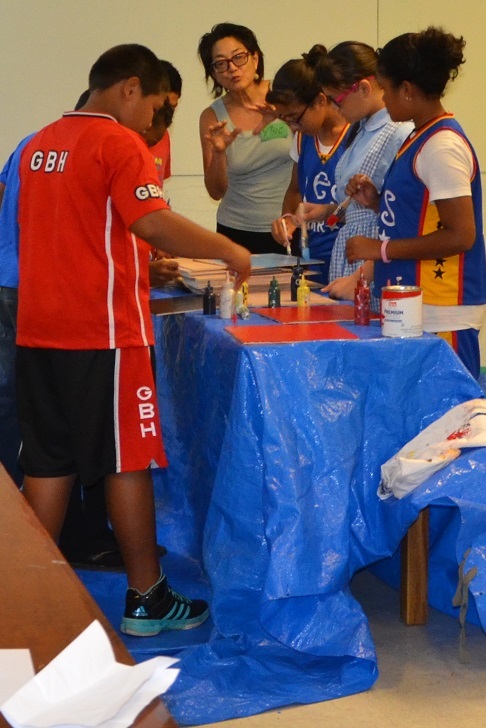 While in Palau, Tanigawa conducted a mosaic workshop with assistance from local artist Sam Adelbai for the students of the George P. Harris and Koror Elementary schools. 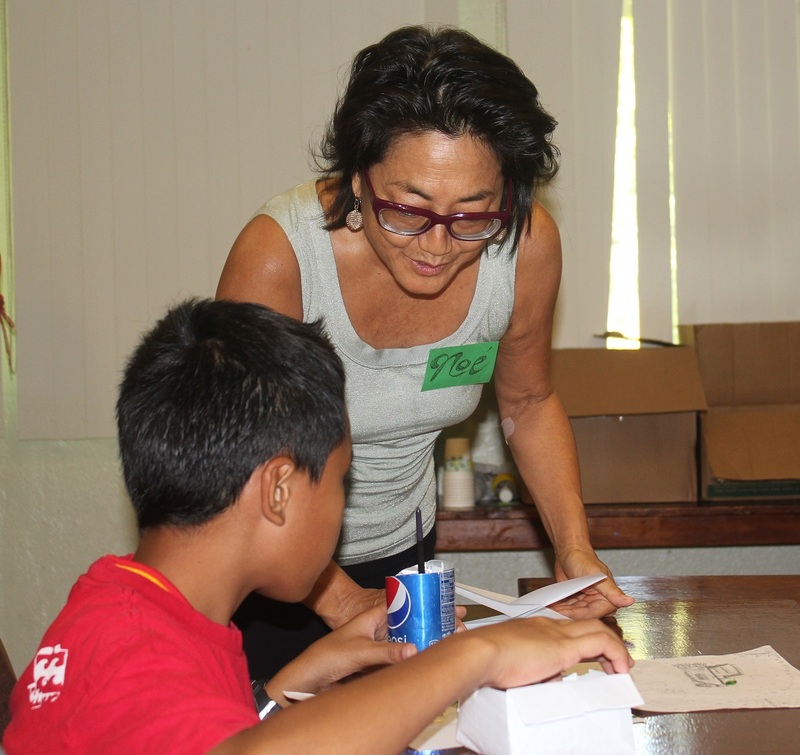 Encouraging students to incorporate a variety of recycled materials into their mosaics, Tanigawa introduced concepts related to the ecology, environmental protection, volunteerism, and civic responsibility. Besides teaching the elementary school students, she also led a series of three adult education seminars at Palau Community College. 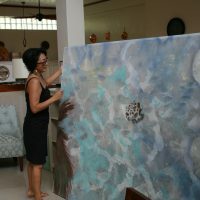 Here, drawing upon examples from her home in Hawaii, she stressed the importance of identifying and documenting stories about indigenous peoples and places as they change over time, and how they can influence artistic expression. 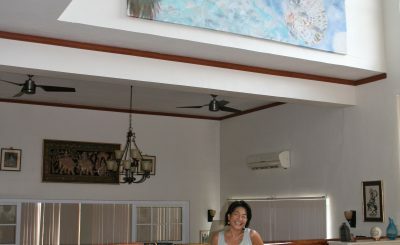 While in Palau, Tanigawa also had the opportunity to conduct an interview with Bilung Gloria Salii. Called Queen Bilung, Gloria Salii she is the highest ranking woman in Koror (Palau’s most populous state). Following the interview, Tanigawa recounted that: “The Queen’s view on the integration of art and life add such richness to existence! 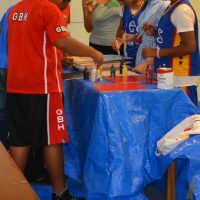 Accomplishments and responsibilities permeate every aspect of life and are so embedded in the culture”. 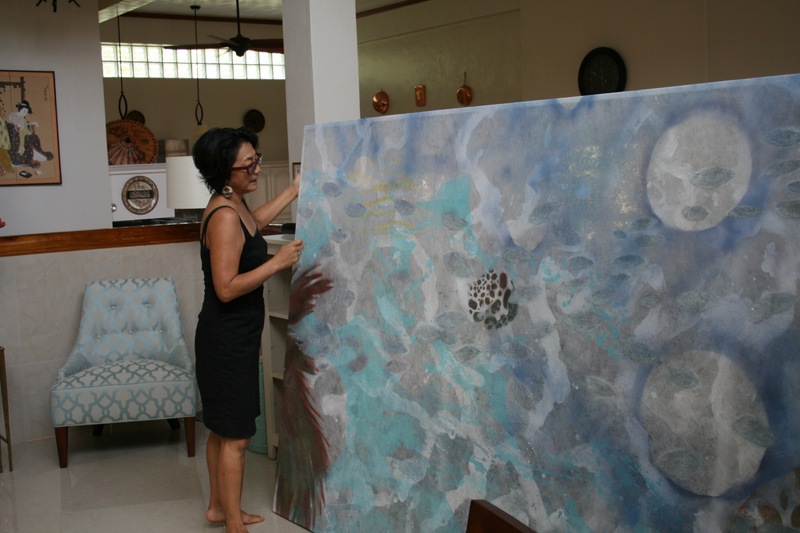 In addition to workshops, seminars, and interviews, Tanigawa also installed one of her own large encaustic paintings, entitled Budech or Peace at the residence of U.S. 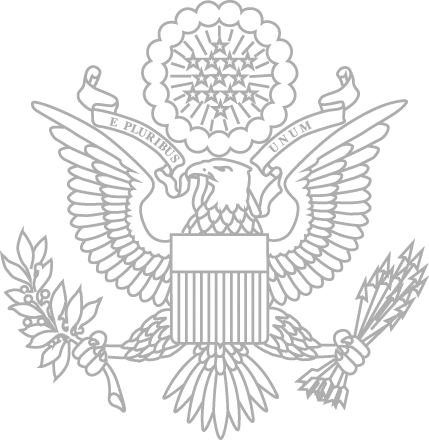 Ambassador Amy Hyatt. On September 10th a reception was held to unveil the work. 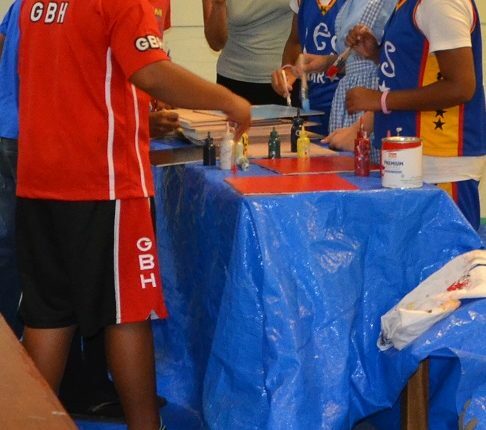 The event featured several honored guests such as the Palauan First Lady, Mrs. Debbie Remengasau and Minister of Community and Cultural Affairs, Ms. Baklai Temengil. 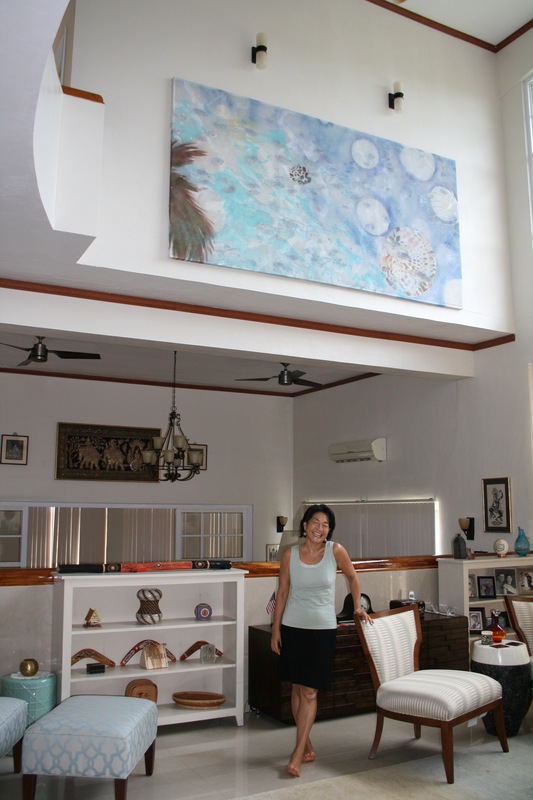 Tanigawa’s Budech painting will remain in Palau on display at the residence for the duration of the ambassador’s tenure serving as a constant reminder of the many ideas explored and friendships shared through her Art in Embassies cultural exchange. 11-noe-cmr-install_1Artist Noe Tanigawa prepares to install her painting at the residence of U.S. Ambassador to Palau. 9-noeinterviewbilungNoe Tanigawa (right) interviews Bilung Gloria Salii. Also called Queen Bilung, she is the highest ranking woman in Koror. 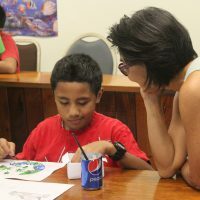 3-noe_kidsArtist Noe Tanigawa leads a Youth Mosaic workshop for students from George P. Harris and Koror Elementary schools. 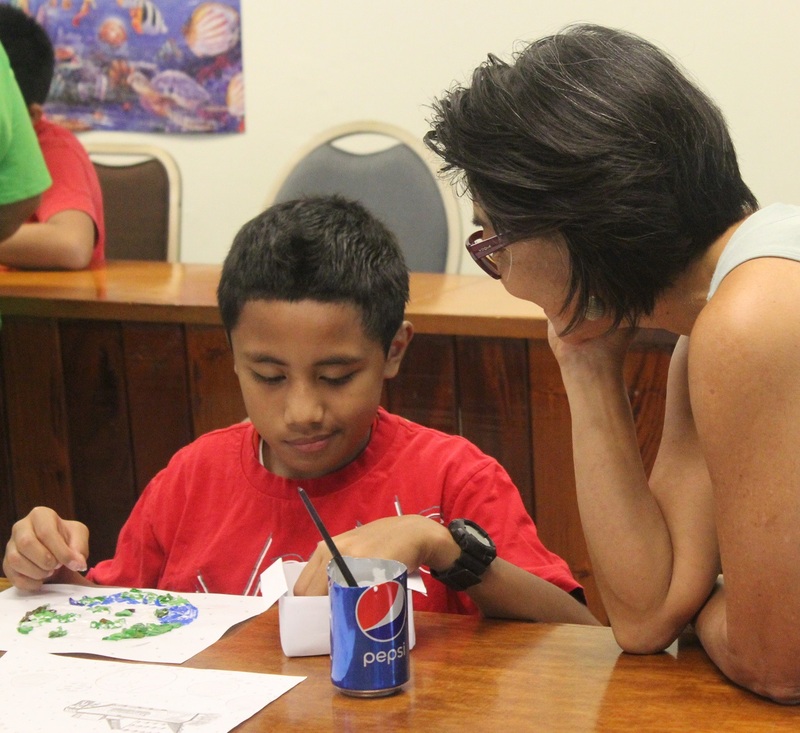 2-widnoeArtist Noe Tanigawa leads a Youth Mosaic workshop for students from George P. Harris and Koror Elementary schools. 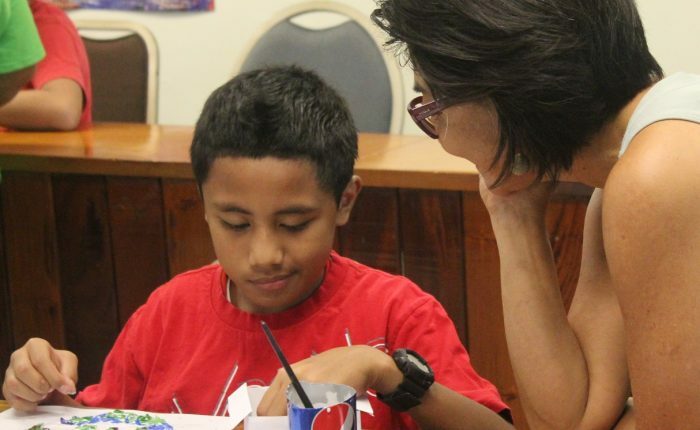 1-teachernoeArtist Noe Tanigawa leads a Youth Mosaic workshop for students from George P. Harris and Koror Elementary schools. 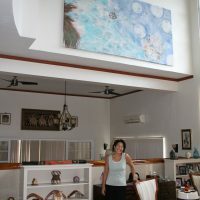 12-noe-cmr-install_2Artist Noe Tanigawa and her painting installed at the residence of U.S. 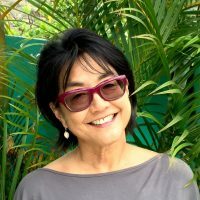 Ambassador to Palau.